I'll be doing a Facebook Live on March 2 for new readers talking you through some of the changes that have happened that you need to know about if you're about to embark on building a website using WordPress. Join me there live (you can get a reminder on the Facebook page), or if you can't, you'll of course be able to watch the video and ask any questions, as you're watching. I prepared the list of updates below a year ago but everything is still valid. I'm waiting to see the new default theme for 2018 before updating again. Create Your Own Website Using WordPress in a Weekend came out in June 2013 and between then and now there have been some significant changes that you’ll need to know about when you’re embarking on building your own website using the book as a guide. Most of all, WordPress has developed and improved and is now even larger in scope than it was when I wrote the book. Here’s a chapter-by-chapter, page by page rundown of what you need to know. And here’s a pdf version, in case you want to print it out (32 pages). I say on this page that WordPress is easy to use. I have to say that WordPress has developed to such an extent and now has such a lot of possibilities as to what you can do with it and add to it, and the variety of themes you can use have got so wide-ranging in their features and complex in the way you work with them, that it is really no longer true to say that WordPress is an “easy” option. So we can’t really say that WordPress is easy, but it is really the only independent choice that you have available to you, and for some people, that is the clincher. That’s why it is still the platform of choice of the vast majority of people wanting to set up their website, and at the moment, that’s the way it’s likely to stay. I would still say, though, that WordPress is easy to keep updated. So if you need outside assistance to help you create your website, it will still be easy for you to add blog posts and make the necessary frequent updates to the site when the site is up and running. I would say in a nutshell that WordPress.com is really only good for blogging. If you’re running a business website, not only are most of the themes very centred on blog layouts, but there’s the other issue of remaining independent and most people will want to be if it’s their business website they’re dealing with. That said, the newly-released default theme, Twenty Seventeen (http://2017.wordpress.net/), which of course is standard for WordPress.com as well as self-hosted WordPress, is a very attractive design that would work very well for most kids of small businesses (unless you really need an ultra-corporate look), and is clearly designed to represent a break with the “mostly-for-blogs” tradition of default themes up ’til now. In fact, I like Twenty Seventeen so much that I’d go as far as to say that using WordPress.com with the Twenty Seventeen theme is a great way for a small business to set up a site very easily and with no hassle whatsoever, perhaps while they get going and get their ducks in a row for a more complex, self-hosted WordPress site that requires more setting up and maintenance. Perhaps it represents a new future for WordPress.com in that it may start to be used more for sites than for blogs, although it’s been overwhelmingly for bloggers until now. The Twenty Seventeen theme – click to see the live demo. Of course, there’s no such thing as a typical layout for a WordPress site, as you can get themes in all kinds of possible layouts that you could want. The layout I chose for this section of the book a few years ago is still a pretty typical layout for a website, WordPress or otherwise, that one finds today. Today though, rather than choosing a “boxed” layout – that is to say, having a white (or background-coloured) margin between the edge of the browser window and the content of the website (as in the example in the book) – people often opt for a “full-width” layout, which means that the large image at the top of the page and all the other sections of the page go right across the screen, reaching the edges of the browser window. (You can see the two styles side by side in the image below.) You can still usually go for a “boxed”-style layout with many themes, if you prefer it and want a slightly more understated or more blog-style look, but a “full-width” layout is now very often seen right across the board of different types of website, which looks very flashy and slick, and way more modern. The “boxed” layout is the one on the right. The use of huge images and videos has become more widespread as well – this is because we can more or less assume that the vast majority of site visitors have fast internet which means there’s no need to worry about slow loading – to the extent that we used to, at least. Huge, wall-to-wall images and videos are now everywhere – as you can see, they are now part of the new Twenty Seventeen default theme. Today, also, we often see “parallax” in action, which is just the term for when the user gets the impression that an image slightly moves when you scroll down the page from one section to another. Again, this is just a way of conveying modernity and slickness; it doesn’t have any real purpose apart from this. And of course, the biggest trend and one that’s here to stay, given that it’s really convenient for mobile users and everyone today consults the web from their smartphone, is that of the one-page website: one section following on from another as you go right down the page, often with menu links that take you straight to the section you’re looking for. Those are a few design trends that are commonplace today that weren’t as widespread back in 2013. Things have changed vastly in the domain name department what with the advent of all kinds of new extensions. Have a look at the “New TLDs” section of Namecheap (under the “Domains” menu) and you’ll see dozens of new options available: .life, .pizza, .photograph, .cafe, .agency, .online, .boutique, .club, .london, etc. etc. You can get these new types of domain name anywhere – Godaddy (https://www.godaddy.com/) or Namecheap (https://www.godaddy.com/) or whever you like – you don’t have to go anywhere special and they’re quite often very good prices as well. Siteground (https://www.siteground.com/) is also often mentioned to me as a good choice so you might alternatively want to have a look at them. In the book I didn’t recommend WP Engine (https://wpengine.com/), although famous, as they are significantly more expensive than any of the other hosts, however I’ve heard reports from people I know personally that their customer service is really incredible and that it’s worth going with them for that alone. So if you think you might need quite a bit of handholding, and might want to ask rather more far-reaching questions than those strictly concerning hosting, WP Engine might be the hosting company for you. There’s a new and important consideration to bear in mind when you’re choosing a host and that’s the fact that Google now prefers people to host their websites locally to where they are based. Your best bet is to ask around for local-based recommendations and then Google those hosting companies to check reviews. Siteground and WPEngine have servers all round the world and you’ll be hosted wherever is nearest you. For those in the UK, I recommend Heart Internet (https://www.heartinternet.uk/web-hosting); for readers here in France, OVH (https://www.ovh.com/fr/) seems to be the best bet that there is. The Namecheap interface (https://www.namecheap.com/) has changed since the book was published. In essence, you do exactly the same – you paste the nameservers your hosting company has given you into the blank fields in the nameserver area (DNS) of your registrar’s website. Here’s a screenshot of how the Namecheap interface now looks. Pointing another domain to your main website, within Namecheap, is now much easier. Go to your list of domains, click “Manage” next to the domain you want to point, and you’ll see a “redirect domain” section, as shown. Since Bluehost is now my top hosting recommendation, I want to give you instructions on how to connect your domain to your hosting if Bluehost is your host (and you’ve registered your domain name somewhere else, such as Namecheap). It’s not quite as straightforward as if you’re using Dreamhost, where you simply add the domain name to the list of domains in your account and then paste the nameservers into your Namecheap admin area, as shown above. There’s another kind of website I’d like to add to the list of different kinds of website you might be wanting to build, and that’s a personal branding site. If you’re selling your products or services using your personal identity as your “brand,” or you’re looking for a job and want to create a site that future employers would visit to get a picture of you, then you need a slightly different kind of a site, which is kind of corporate, but a lot more friendly. It may be that there’s been a rise in the number of businesses over the last few years that are based around individuals precisely because these can be conducted in a largely web-based way – consulting and coaching carried out via Skype; design, editing, social media and VA services conducted remotely, online courses, etc., with the image of the person being entirely created by the website and the social media that supports it. Whatever the reason, this kind of site has evolved into a category of its own now and you’ll find many themes that cater to this need. Typically this kind of site will include a large picture of the person at the top of the home page, press logos, a prominent signup form, and a “Work with me” invitation. Some examples of this kind of site are Marie Forleo’s site, Marie Poulin’s (digital strategy), Elizabeth Saunders’ (time management), Barbara Stanny’s (financial wellbeing), Jeff Walker’s (internet marketing) and VABoss (virtual assistant). There are many more good places than I those knew about at the time of writing the book, including the wonderfully useful Librestock (http://librestock.com/) that lets you search 43 free stock photo libraries at once. See here (http://www.alannahmoore.com/the-best-places-to-get-free-stock-photos-for-your-website/) for an article in which I list lots of other places. http://librestock.com – a “search engine” for free images. Hipster Logo Generator (http://hipsterlogogenerator.com/). This is a very particular “look” of logo but it could be just what you want. I have also become a huge fan of the “1-1 Projects” service of 99Designs (99designs.com/projects). You can get a logo designed here without undergoing the whole competition element that was the original idea of 99Designs, and once you find a designer you like, you can get everything else you may need designed by them as well (business cards, other printed stuff, ebooks – whatever else you might need) at a really reasonable cost. I’d like to say some more here on the subject of graphics for websites in general. 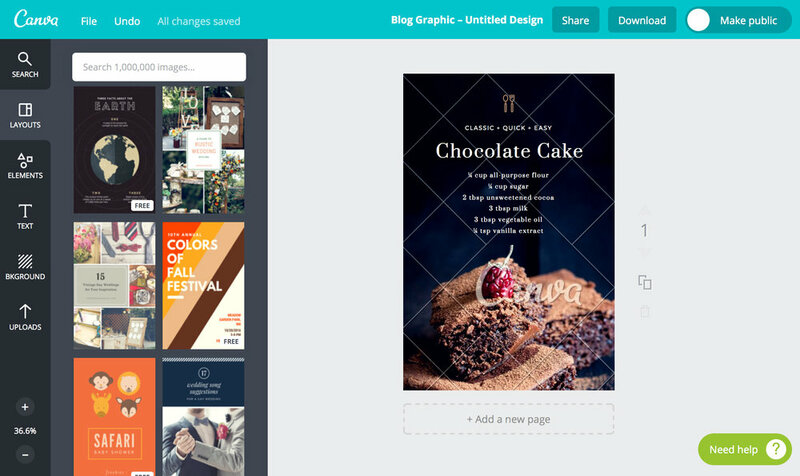 First of all, since I wrote the book, a wonderful tool now exists that you absolutely need to know about as it’s just perfect for the do-it-yourself website builder, and that’s Canva (https://www.canva.com/). Whether it’s large pictures for your blog (that are ideal for your website visitors to pin on Pinterest or share on social media) or graphics for your sidebar, it’s fantastically easy to use and what’s even better for people who aren’t brilliant with the design side of things, it has hundreds of ready-made, stylish-looking templates that you can just take and customise for your own purposes. You can see in the screenshot below some of the templates that are provided for you as starting-off points. As well as graphics for your website, Canva can also produce images you can use on social media (all pre-sized to exactly the dimensions you need) and can even create ebooks, if you have needs in that direction, or material you can take off to print (brochures, posters, etc.). PicMonkey (http://www.picmonkey.com/) is another tool that you may find invaluable in creating graphics for your website – many people like to use Canva for some things, and PicMonkey for others. 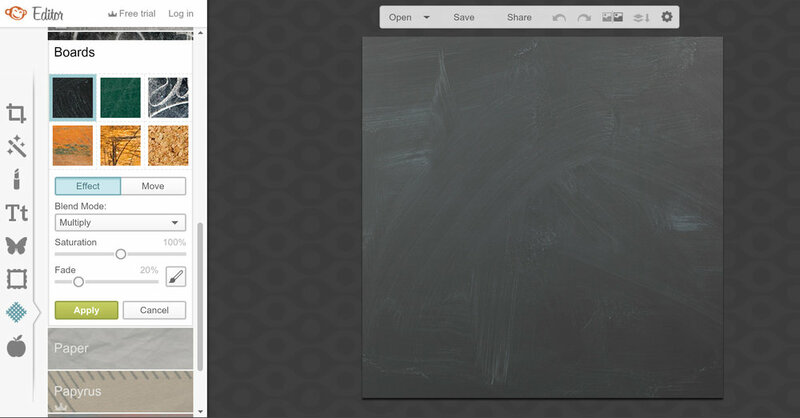 Picmonkey has some great textures and background (chalkboard for example) and you can create collages with round corners for each image if you want to. You can’t use your own fonts with the free version of Canva, whereas with PicMonkey you can access all the fonts on your computer. Another idea for creating square graphics for your website is to use one of the apps that are created for Instagram. You can create the graphics with your phone and email them to yourself, then you can upload them to your website from your computer. Of course, you’ll choose a style that suits the kind of website you are creating. These images are great for sidebar graphics that direct the visitor to different areas of your website, or for putting in a row across your home page, for example (lots of themes provide a space where you can add three or four images for different products or services you provide). Creative Market (https://creativemarket.com) is a brilliant place to get patterns, illustrations and other graphic elements for your website. You can also get fonts, which you can download to your computer and use via either Pixlr or PicMonkey, images especially created for social media posts, and design elements (buttons and other graphics) you can use to add some individual flavour to your site. You can also find a lot of ready-made “kits” to be used on websites on Etsy (https://www.etsy.com/). Search “branding kit” or “web graphics.” These are often of a particular “look” that’s very much in vogue at the moment, and if this is what you’re looking for, you may have found the perfect source of graphics for your website. Video is now much more prominent than it was in 2013. As you saw if you clicked over to look at the new Twenty Seventeen default theme (http://2017.wordpress.net/), there’s a huge full-screen video right on the home page. Putting a video here is not, of course, obligatory; you can put a large image there instead, but it just goes to show how commonplace using video now is on the web. 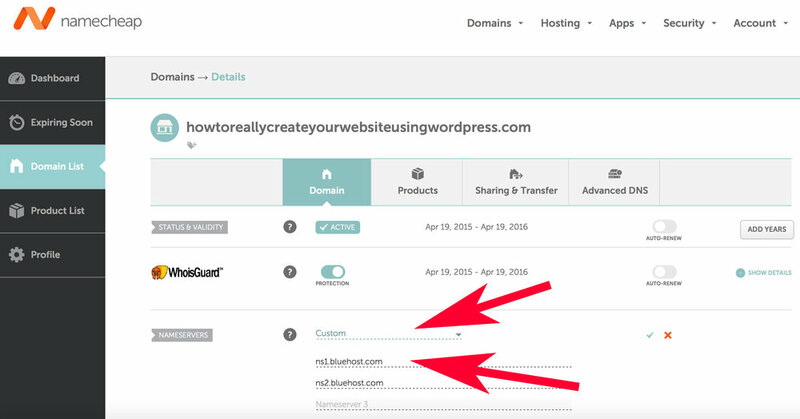 Since Bluehost is now my top hosting recommendation, I want to include instructions here for a WordPress Bluehost install, for those who have followed my recommendation. On the next page, you’ll see a dropdown to select your domain. Before you do anything, look below the dropdown to where you see a section titled “Helpful Plugins.” You do not want any of the plugins they are suggesting, at least at this stage. So deselect everything that’s being suggested to you in this section. Write the title of your website in the first field (you can change this later). Write in a user name in the second field (don’t choose “admin”), or you can leave your email address there. In the third field, change the email address if you need to to a different one at which you will receive admin notifications – or leave it as it is, if this is the email address you want to use. In the last field, type a password – you are advised to choose a very complicated one, or keep and use the one Bluehost has generated for you. (Having a complicated password is one of the things that helps keep your site safe from hacks). Bluehost suggests you look at themes while you are waiting, and if you want to do that, then go ahead and do it. But don’t make any decision yet. There are many more to be looked at and it will take you some time to decide. When you see the “Installation complete” notification, click the link to see “credentials”. At this stage Bluehost is very keen to sell you a premium theme and will give you lots of popup windows to encourage you to do that. But this is not the right time to buy a theme, so just ignore all their offers for now – you can think about themes later. You can now go to “www.yourdomain.com/wp-admin/” – and log into your new website. Go to Appearance > Themes. Click the grey “Add New” button right at the top of the page. Type “Twenty Twelve” in the ‘Search themes” search box. When you see the Twenty Twelve theme, mouse over the picture of it, then click the blue install button, as shown below. Click “Activate” when it’s installed. You can now follow the tutorial. When you log into the admin area for the first time, you’ll see a “Welcome” message asking what kind of website you are going to create. You can dismiss this by clicking the “I don’t need help” link. After this, you’ll see all kinds of links offering to take you to different parts of the admin area to help you get set up. This is WordPress trying to make their admin area more user-friendly for those logging in for the first time; the tutorial shows you what’s what in the admin area in more detail, as well as anything else that you’ll need to know to get started, so I advise you not to get derailed by clicking any of these links and just follow the tutorial in the book instead. Since I wrote the book, the version of WordPress has obviously changed, as well as the default theme. We are now on 4.7.2, at the time of writing. The interface looks different – more modern (for example, the side navigation is black, and the font is different, as you can see above and in your own interface), but it functions in basically the same way, with a few tweaks that have improved usability. The major difference, in terms of using it, is that it is now miles easier to work with images. You can resize them right inside the editing area just by dragging the corners (as shown below), and easily add to and rearrange galleries (as you can see in the lower image below). Where once it was a bit fiddly, it really is easy now. Resizing images with the more recent WordPress interface. Much easier! 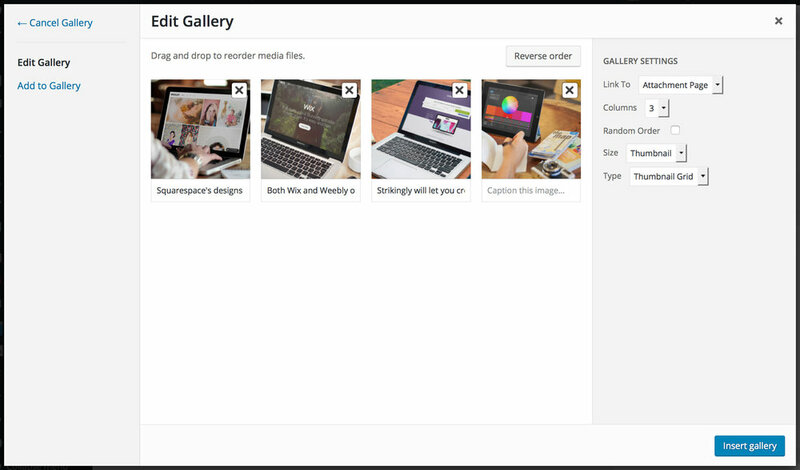 You can easily add images to galleries and rearrange them in the more recent version of WordPress. Instead of the Jetpack Contact form, many themes are set up to work with Contact Form 7 and require you to install it to make the theme work. Contact Form 7 is a very good contact form plugin so no need to activate the Jetpack one (in fact, you shouldn’t, in case there is a conflict) if your theme specifies Contact Form 7. The Jetpack suite has developed hugely since I wrote the book and if you browse around the Jetpack section of the admin area once you have installed and connected it, you’ll see all kinds of tools you can implement. Go to the “Settings” section and you can see the different elements you can switch on and off grouped by tabs according to what they offer. Sharing – you can use this, however I prefer Sumome (which I’ll talk about in Chapter 9 in the contexts of mailing lists and social media). Similarly, Publicise is a way in which you can easily post your blog posts to social media when you publish them to your site, but there are other ways of doing this I think are better because you should really tailor them to each platform. Related Posts, Comments, Subscriptions (but read what I say in the Mailing list section below, Chapter 9, concerning contacting your site visitors by email). Sitemaps – this is easier than setting up a separate plugin, which is what I recommended on page 150 of the book. Protect, Monitor, Akismet (which is talked about in the book; you absolutely need this). Tiled Galleries & Carousel – if you need to display a lot of images on your site and find your theme doesn’t have a particularly nice built-in gallery or slideshow facility. Extra sidebar widgets – there are a number of particularly useful widgets here that you can activate: Images (otherwise there isn’t a simple way of displaying images in your sidebar without using code), Milestone if you want to count down to an event, Top Posts & Pages, Social Media Icons (if your theme doesn’t provide them), Twitter Timeline, Facebook Page Plugin. Widget Visibility – this is super useful. You probably don’t want every widget on every page; here’s how to choose what appears where. Infinite Scroll – this won’t work for every theme, but I like it a lot. Instead of making your users go from page to page when they’re looking at the list of your blog posts, they can scroll down a list that goes on and on right down the page. Basically, it helps your older posts get more eyeballs. All in One SEO Pack has been supplanted by WordPress SEO by Yoast as the universally recommended SEO plugin for WordPress – it apparently has less of an impact on site speed (though personally I have no proof of that). Again, install it directly from the Plugins area. The Yoast plugin has a different interface (you can see a screenshot below where I talk about Chapter 9), but the essence is the same – you choose a title and a description for all the pages of your site. So, don’t use All in One SEO Pack, use WordPress SEO by Yoast instead. Note that it is now not necessary to add keywords (“meta keywords”) to your pages for SEO purposes – of course keywords should be in the actual text of your page, but you don’t need to add them individually into any area of the interface so that they are present in the code of your web page, as we did before. Google declared a little while ago that it no longer goes by these, so this is one step you can leave out. An additional feature that Yoast has that is really useful for optimising your pages for the search engines is its red, amber and green traffic-light system. Following the prompts, you can adjust your title, page text, and so on, in order to get the “green” status for each of your pages and blog posts, which indicates that you have done as much as you possibly can to achieve optimisation for each page. You can find a tour around the Yoast plugin if you go to the “SEO” section that appears within your navigation once you’ve installed it, and if you want to go further, you can read their very detailed article about optimisation here: https://yoast.com/wordpress-seo/. The information contained here is extremely detailed and my advice would be not to get too hung up about it while you are creating your website, but to come back to it afterwards if you find you need better search engine visibility. Lots of people spend a lot of time making sure each page on their site “goes green” in Yoast; whether it makes sense to do this depends on how important the search engines are for you. If word of mouth is the overwhelming way people get to hear about you, if people can look for your site by name and find it, then you don’t need to spend hours fiddling around changing all kinds of other things on your site. Reading the section on Search Engine Optimisation in Chapter 9 of the book will give you the broad outline of what you need to know while you’re building your site – and it’s important that you do read it before you do your building as it will explain to you the importance of the wording on the site pages, the way you label your images, the titles you give to the pages, and so on, which you won’t want to re-do. Once you are armed with this knowledge, I advise you to complete the site to your liking and get it live, and only at that point dive further into SEO and carry out whatever tweaks may be necessary. Otherwise you risk getting caught up in details and having overwhelm take over before your site is even live. Since I wrote the book another system has come along that has made things a huge lot easier for entrepreneurs: Gumroad (https://gumroad.com). Gumroad is perfect for downloadable products – ebooks, films, audio, artwork – and physical products as well. You simply put a little bit of code into your website where you want the “Buy” button to appear, the customer downloads the product, or you send it to them, and Gumroad pays you once every two weeks by cheque or by PayPal – it’s really as simple as that. One particularly great thing about Gumroad is that it takes care of everything concerning the European VAT law on downloadable purchases, which has caused a real headache since its implementation: now, if someone purchases a downloadable product, if they are in a European country, the person selling is supposed to apply the right percentage of VAT for the country the purchaser resides in! Gumroad handles all that so you don’t even need to think about it. One thing Gumroad doesn’t take money for is services, so if you do coaching or consulting, it won’t be the solution for you. https://gumroad.com – sell music, comics, software, books, and films directly to your audience. So, you can put in PayPal buttons and you can put in Gumroad buttons if you have the odd thing that you want to sell, but you might want to set up a full-blown store. In this case you need the full e-commerce outfit so you can run a proper online store-type website, and with WordPress, this means installing an e-commerce plugin and choosing an online store theme. At the moment, WooCommerce is the most-used e-commerce plugin for WordPress and there are hundreds of themes designed for it, so it makes sense to go with this one. I want to say here that while this book is about WordPress, I am not actually a raving fan of using it for your DIY online store. The reason is that while it is relatively easy to set up, and the themes you can use for it are excellent, you often need “extensions” (add-ons) to make it work the way you want it to, and these are usually paid-for by the year (otherwise you don’t get support and you may well need it). You also now need to pay to use the Mijireh service to make sure your site is compliant in the way it legally needs to be concerning the personal and credit card details of your customers (PCI compliance). In addition, in my own experience of setting up WooCommerce for clients, adding extras can make it a little unstable and I’ve had annoying instances of conflicts that I’ve had some difficulties in managing to smooth out, and that have required a lot of interaction with support. To me, this seems like a lot of extra technicality and worry you can probably do without and I would seriously consider, if the margins will work for you, using an all-in-one service such as Shopify if you want a proper webstore. That said, the appeal of being independent may be a deal-breaker, in which case I’d say go with WooCommerce but make sure you follow up the yearly payments for any add-ons you may need as it’s really worth having the support. And realise there will be extra costs involved. When choosing a theme, today it’s not an “option” that your theme works properly on mobile – it absolutely has to be “responsive.” All modern themes are now responsive. But if you’re choosing a theme that’s been around a while, you’ll want to check. Something new that’s come along since I wrote the book is the increasingly available option to rearrange things on your WordPress pages so that your layout is exactly as you want it to be. If you’re new to WordPress you may think it an obvious requirement, but until very recently you were constrained in your page layout to what the developers had decided. There are a number of different add-ons that developers use to enable this facility so you won’t always find it described in the same way. Often you’ll see “Visual Composer” mentioned as this is more and more in use. Another term you’ll see is “drag and drop interface.” It’s important to read the blurb carefully to make sure you’ll be able to do exactly what you want to with the layout. If in doubt, ask, and don’t assume anything. A very new feature you may come across is something called “front-end editing” which is bound to increase in use – this is a way in which you can make changes to your site from the public side of your website, without having to to go the admin area to make the smallest tweak. This is available (called (“Visual Page Builder”) with the very popular and highly customisable theme “Divi” by Elegant themes. All these changes mean WordPress is becoming more and more customisable which can only be a wonderful step forward, but it does also make the whole thing more complicated for the beginner. Some of these theme makers are no longer in action. The following are now defunct (or seem to be): wordpressthemesbase.com, www.wpskins.org, www.wptemplates.org, shakenandstirredweb.com, skinpress.com. Obox themes are at oboxthemes.com. To this list we need to add Creative Market (https://creativemarket.com), and for those who are looking for the more feminine blogger/craft-maker look, Angie Makes (http://angiemakes.com) and BluChic (http://www.bluchic.com); WP Explorer (http://www.wpexplorer.com) is a curated collection of themes, mostly of a nice, minimal style, some of which are their own. If you want a free theme, go straight to the WordPress Free Themes Directory (https://wordpress.org/themes/) rather than going to the individual sites, which would take you much longer. For premium themes, first go to Themeforest and Creative Market (because many of the individual makers sell their themes there). Then check out Elegant Themes (“Divi”), Themetrust, StudioPress, Organic Themes, Graph Paper Press and Dessign (the latter two are specifically for themes for creatives). Or if you want one of the more feminine-style themes check out Angie Makes and BluChic straight away, followed by Creative Market. Out of the themes I’ve chosen as examples here many are no longer available. We also see a change in design in that there is this wide-ranging movement towards larger images. Out of the “flagship” themes I chose for each category, neither the business theme I chose nor the portfolio theme are available; the theme-makers have naturally moved on towards more up-to-date designs. The Structure theme, which I chose as an example of a magazine theme, is now only available only as a paid-for theme. Only Mystile (online store) is available still as a free theme. As I’ve said, the Pagelines theme is no longer available. There are now many, many more wonderful-looking free business themes available now than there were when I wrote the book and you can easily find many brilliant options. I actually had a hard time finding a really good one that was free at the time, and now there are loads. More are being created daily and added to the collection, as WordPress has become a standard for all types of site, rather than being used primarily for blogs. Once you’ve identified themes that look interesting by looking at the thumbnails, open up the WordPress free themes directory in a new tab (https://wordpress.org/themes/) and search each theme by name. This way you can, in most cases, access the “Theme homepage” for each theme and from there, see a demo version of the site as it could look when fully customised. The “Preview” look that you’re given from within the Appearance > Themes area will just show you how the theme would look at its most basic, but these days with themes offering more and more customisation options, this doesn’t show you the theme as it’s really designed to look, so you need to see the demo in order to understand what you can potentially do with the theme. Unfortunately the lovely Visual theme is no longer available. But there are many other slick-looking modern and minimal themes available on the Dessign.net website. If you go to this page: https://dessign.net/category/premium/ you’ll see many free options available, mixed in with the premium themes. Sadly, the free version of the Structure theme is no longer available, only the premium version. This theme has entirely stood the test of time and is still one of Organic Themes’ most popular themes, only now you have to pay to use it. There are dozens of other beautiful free magazine-style themes available however, which you’ll see if you search the free theme directory (Click “Add New” within the Appearance > Themes are and type “magazine”. Mystile is still available and it still looks good. 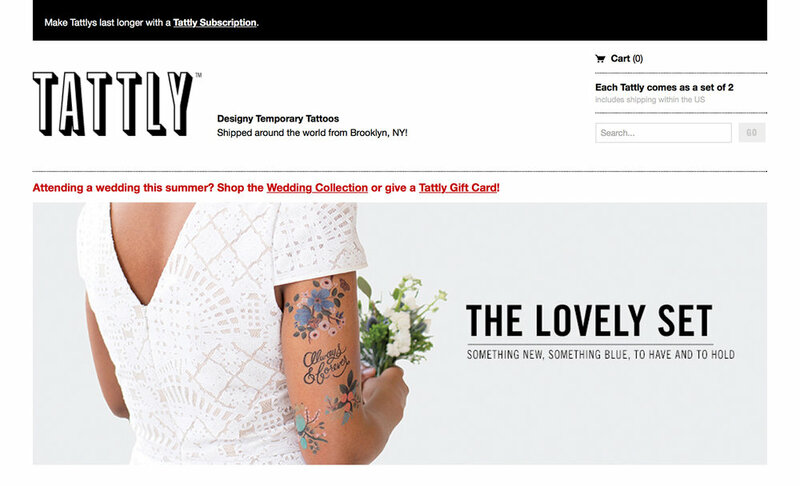 You might want to look at Storefront (https://www.woothemes.com/storefront/) which is now WooThemes’ basic webstore theme, but to get it looking as good as their demo with the really modern full-screen image or video at the top, you’d have to add a paid-for extension. Point 3 – Facebook ads are vastly effective and are a very commonly used advertising tool. Instagram now also takes ads, since very recently, so if you think it could suit what you are doing, it could be worth a look. I could add a point 9 in this section, which would be “Add a blog to your site.” (I actually wrote about this subject in the next section about how to keep your audience interested, but it is also a good way of growing your audience, not only keeping your existing audience tuned in.) I’m a massive believer in adding a blog, even if yours is a serious business site, for many reasons – and if you look around the web, you won’t see that many busy or successful sites that don’t have a blog attached. One very powerful reason is that a blog gives you scope to add relevant material to your site and this gives it value in Google’s eyes, meaning your site will get a better ranking. I’ve written a blog post about all the good reasons for blogging on your site so if you need more convincing, hop over here and have a read (http://www.alannahmoore.com/why-add-a-blog-to-your-website/). There are a few resources worth knowing about in the context of email mailing lists. SumoMe (https://sumome.com/) – these people provide all kinds of brilliant tools to increase your signups and make your website more effective in general. You can set up a pop-up signup box that appears when it looks as though your site visitor is about to leave, or you can have one appear as they scroll down to towards the bottom of your site. Another tool is a strip across the very top of your website with a call to action or a newsletter signup form in it (you’re bound to have seen these all over the web), another is a “welcome mat” – a signup form that appears over the entire screen for new visitors, once-only, that is hugely successful in raising signup rates. You really must look at what they offer – many of the tools are entirely free and are very widely used. https://sumome.com – SumoMe is a suite of free tools that can be used to grow your website’s traffic. The SumoMe tools are easy to install and work on any website. Bloom (http://www.elegantthemes.com/plugins/bloom/) – a premium plugin (by Elegant Themes, but you don’t have to be using a theme by them to use the plugin) that provides very nice-looking signup forms and popups, and is easier to configure than the option above (I actually prefer it, though you don’t get a “design-from-scratch” option, nor the full-width form). A popup form created by Leadpages. Here in the book I talk about sending out blog posts automatically using the Jetpack Subscribe widget or the Subscribe2 plugin. It is very easy indeed to let your subscribers sign up to receive blog posts this way – you don’t have to do anything and they will just receive the blog posts! How effortless! – though there are a couple of drawbacks. One is that with Jetpack Subscribe, your readers will receive emails with “WordPress” written all over them, instead of your own branding. You might be ok with this if branding isn’t a big deal for you. But a very serious disadvantage is that you don’t have their permission to email them outside the agreement to send them blog posts, and you really do want to have permission to mail them whatever information you want – that’s the whole point of getting their email addresses. A better way of letting your readers receive your blog posts automatically is to use a mailing list manager like Aweber or MailChimp instead (as per the newsletter section on the previous pages), and set it up so that the subscribers receive your blog posts by email (or links to them) whenever you post to the blog without you having to do anything at all. This way you also have the option of mailing these individuals outside of the blog, supposing you ever want to set up a proper newsletter or email them about any offers you may have, as they have given you permission to contact them. In a nutshell, I’d always go with setting up an email list rather than simply working with a blog subscribe feature, even if at this stage all you want to do is let your readers receive your blog posts. As I’ve said above, WordPress SEO by Yoast is the preferred plugin now for your SEO needs. The interface does look completely different, but the principle is identical – you set page titles and descriptions for each of your pages or posts, and in addition, as I explained, the plugin helps you see how well-adapted your page is to your target keywords for that page, which is really useful (see the screenshot below). I didn’t talk about Instagram in the book as I think it was new at that point and hadn’t yet taken off into the hugely important social media platform that it is today. As I said, Instagram may not be for you, but if you do anything photogenic, you may be missing out if you don’t dive into it. Even businesses that don’t necessarily lend themselves to imagery have found they can create graphics using slogans and quotations which means they can be present and create a following there as well. Over to you if this could be something good for your business. Note that you can only include ONE clickable link in Instagram, and that’s in your profile. What users normally do is post images referring to a particular blog post, recipe, product, or whatever it is, and say in the comments that there is a link to that information in the profile. They then change the link in the profile to the relevant direct link that goes to whatever it is that is talked about in the latest post. And they keep changing it as they post new images that point to their latest website content. There are loads of plugins that allow you to display your Instagram feed on your website, WP Instagram Widget being one of them. If Instagram is important for you, you can play around and compare how the different widgets display your feed on your site, or do a Google search for “best Instagram widget for WordPress” and consult the most recent articles that come up. In the book I listed Rebelmouse as a social media aggregator but it doesn’t seem to have really taken off, so I wouldn’t bother investigating. These days your theme will probably have social media profile buttons incorporated into it, but if it doesn’t, you can easily use the Jetpack tool. If you want to create buttons for your sidebar that match your theme’s colour scheme, try Simple Social Icons by StudioPress (install as usual via the Plugins area of your admin). As mentioned, for a strip of buttons at the side of your web page that allow people to share your content via their own social networks, the wonderful SumoMe (mentioned above, https://sumome.com/ – pictured in the screenshot) will do this for you. Jetpack – I’ve already talked about the social media sharing features above, when talking about page 75 in Chapter 5: I prefer to use SumoMe for this. PCI compliance – As briefly mentioned earlier, PCI compliance is something you need to take into account if you’re selling online. This is a complex issue; if you want to understand more about it, I advise you to do a Google search. In a nutshell, you now legally need to make sure your customers’ personal details and credit card details remain in secure hands throughout the payment process. The way to make sure you do this when you’re using WooCommerce is by using the third party service Mijireh (http://www.mijireh.com/woocommerce/). EU VAT on downloadable goods – this is a real headache in that you now need to make sure your payment processor can take the required VAT amount for anything downloadable (ebooks, art, etc.) according to where the purchaser is based, not according to where you are based. This means it affects everybody! Try this plugin: WooCommerce EU VAT Compliance; https://wordpress.org/plugins/woocommerce-eu-vat-compliance/ or use the WooCommerce Taxamo extension (https://woocommerce.com/products/woocommerce-taxamo/); see this article for more explanation: (https://woocommerce.com/2014/12/handling-eu-vat-woocommerce/). I now recommend a different backup plugin, and that’s Updraft Plus (https://wordpress.org/plugins/updraftplus/; you can install as usual from your admin area), which lets you restore your website at the click of a button if you need to, and saves your backups automatically to Dropbox (you need to set it to do this – it’s of course a great idea, as you don’t want your only back up to be on your server, or your computer). I can’t overestimate the importance of keeping your WordPress site up to date as hacks are more and more common these days, and one way you can help keep your site secure is by keeping everything (WordPress version, plugins, and theme) entirely up to date. Given that security is such an issue today, a useful plugin to install is WordFence (https://wordpress.org/plugins/wordfence/). This lets you know if your site has been attacked or infected. Should this ever happen to you, first ask your host for help, as they will most likely be able to give you advice, and may be able to restore the site to a previous version for you. If they can’t, and it turns out you need professional help, go to Upwork (https://www.upwork.com/), and seek out a hack repair specialist with a great reputation, who should be able to sort out the situation for you. It’s essential that you have a backup to provide the freelancer with, with so do get your Updraft Plus set up. Polylang (https://wordpress.org/plugins/polylang/) is a useful plugin to use for multi-language sites, easier to use than either of the others mentioned. We should add to this list the fabulous SumoMe suite I keep talking about (https://sumome.com/). There you go! There’s your most recent list of updates to the book. If you find something else that really needs explaining, or correcting, please do let me know (http://www.alannahmoore.com/contact-3/) and I’ll be sure to add it into the next update list. Thank you. The best of luck with your website building.